Teresa Orozco, a passionate, gifted world-class classical and Latin American flutist, is actively involved in the music scene as soloist, orchestral player and ensemble coach, recording artist, and studio musician. She was orchestra manager for Bay Shore Lyric Opera Company for ten years and Monterey Symphony, and music director and founder of Ovation Music Productions. Teresa is an MTAC member since 2007. Teresa has been flutist of the Monterey Symphony since 1987, New Music Works since 1992, Carmel Bach Festival Orchestra, since 2007; toured with the San Francisco Merola Western Opera Company in 1993, and the Rome Festival Orchestra in Italy in 1983. She has appeared as soloist with The Alemeda Orchestra performing Mozart Concerto No. 2 in D Major, Palo Alto Chamber Orchestra performing Vivaldi Double Concerto, Ovation Chamber Music performing Telemann Suite, SJSU Orchestra performing Chaminade Concertino and Mozart Concerto in G, and the Bay Shore Lyric Chamber Orchestra with Dan Levitan performing Mozart Flute and Harp Concerto. 2014 was a busy year for Teresa. In November her performances with the Monterey Chamber Players earned her great reviews. Lyn Bronson of the Peninsula Review had this to say, " Flutist Teresa Orozco was dazzling on this occasion, especially in her playing of her fabulous solo flute aria against pizzicato string accompaniment in the Adagio movement of the Mozart." The performance was repeated in San Francisco at the Old St. Mary's Cathedral Noon Concert Series. Reviewer Iliya Dimov writes, "Music lovers were pleased and astonished to witness a masterful performance...[that] met the positive expectations of the audience. The musicians demonstrated brilliant performances, amazing sense of ensemble, virtuosity and understanding of style...[with] inexplicable lightness of passage of flute in the hands of Teresa Orozco..."
Teresa performed a world premiere concerto written for her, titled La Vida Es Arte by local composer Kerry Lewis this past year, 2013 with the San Jose Chamber Orchestra under the direction of Maestra Barbara Day Turner. The San Francisco Classical Voice newsletter publication had this to say about the performance: This concerto is for flute, and Teresa Orozco was there as soloist to play many a phrase that darted in and out among the other instruments, with a great deal of pinpoint virtuosity ... [the results] was intriguing to listen to, and it held together impressively well. In a review by renown flutist, John Solum, he writes, ... the performance is excellent, and Teresa Orozco is a fantastic flute soloist. She has a beautiful sound with technique to burn and is a fully engaging soloist. She presents the piece with complete conviction and aplomb. 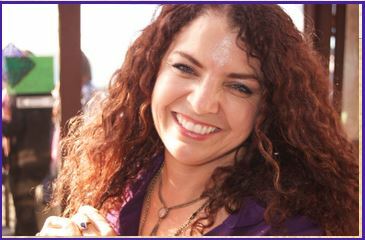 Teresa Orozco not only specializes in classical music but also performs Latin-jazz, Afro-Cuban music. She is a member of two Latin Music bands: the salsa band, Tu Mambo Tropical and the duo Kumbambe, playing Romantic Latin, salsa, rhumba and Afro-Cuban music. Her flute and guitar Duo with life partner Orlando Castro is creating a sensation in the Bay Area and will soon release their first CD with romantic Latin music and Aftro-Cuban sounds later this year. A quintessential communicator and educator, Teresa has mentored several hundred young musicians in her many teaching positions during the last two decades including Conductor for the Avant Flute Choir of the San Jose Youth Symphony, 2003-2013; migrant-student educator in Salinas teaching a K-8 music appreciation and choir class in 2009-2010; Music Appreciation and Band director for Valley Christian Elementary Junior Conservatory, 2009-2013; coach and clinician for several youth orchestras in the San Francisco Bay Area and "in schools" demonstration coordinator for the Monterey Symphony Orchestra Woodwind section since 1987. She has moved so many with her passion, love and enthusiasm for music and is inspiring a whole new generation of students to be excellent in both musical skill and temperament. At the moment Teresa, together with San Jose Chamber Orchestra is establishing the SJYCO Master Flute Choir andWoodwind Quintet which began in October of 2014. This year Teresa will begin her new job in the After School Instrumental Music Program at The Harker School coaching and mentoring flutists from elementary through high school students. Teresa also teaches at the Valley Christian Schools where she coaches all flutes. She also coaches the woodwind sections of several youth orchestras in the greater San Francisco Bay Area. Teresa opened her own private studio, Orozco Flute Studios, in 1987. There she coaches very dedicated, talented and award-winning college-bound flutists. Many have won several international and concerto competitions and young artist competitions and have performed in the prestigious Carnegie Hall. Her student of 6 years, Apoorva Rangan won first prize in the National Flute Association International High School Young Artist competition in August of 2014. Teresa's performing, teaching and coaching were recognized in February 2014 by the National League of American Pen Women who awarded her a certificate of recognition for her achievement and contribution to the community. 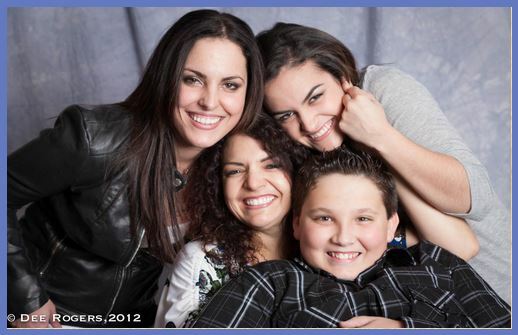 Teresa is immensely proud of her three beautiful and talented children. They often play together and, when possible share their music in the local retirement communities around the San Francisco Bay Area.